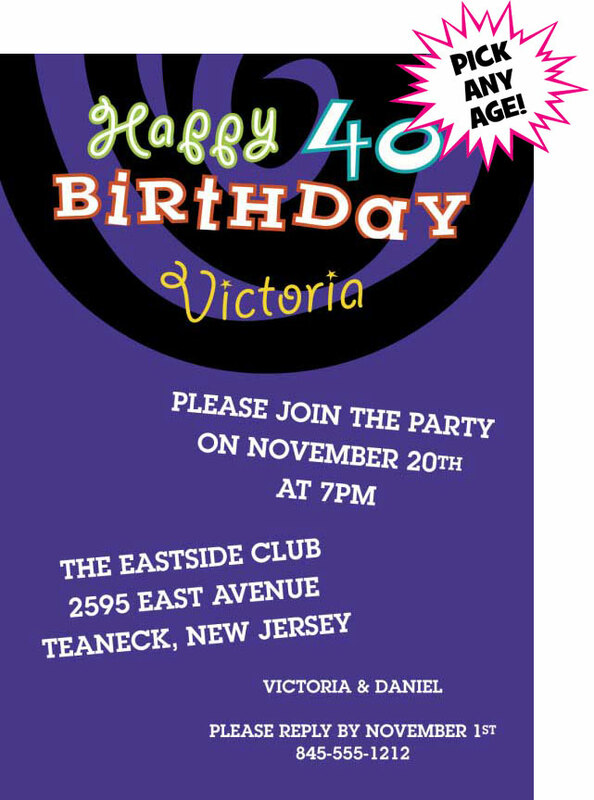 Black and purple swirl milestone birthday invitations and favors. Choose any age for this birthday party design. 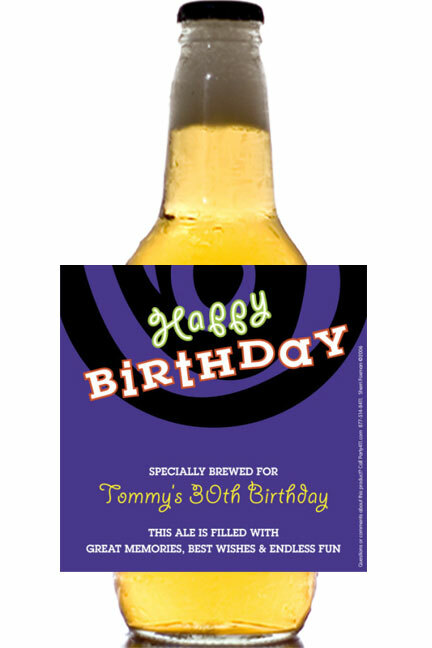 Perfect for 30th, 40th, 50th, 60th, 70th, 80th, 90th or 100th birthday parties! Swirl design birthday invitation. Personalize with your age! 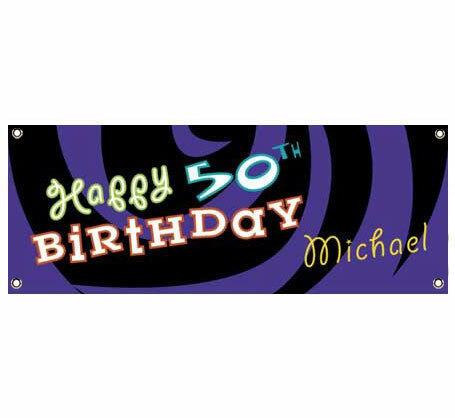 Perfect banner for any big birthday party! 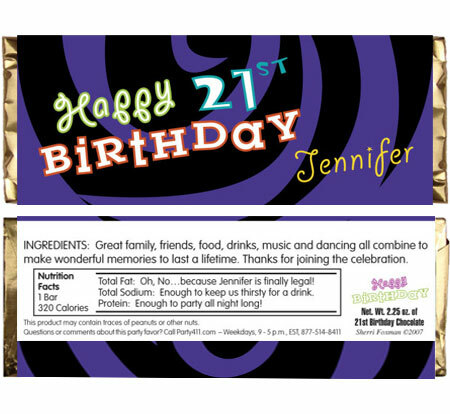 A personalized candy bar label for your milestone celebration! Perfect for any milestone birthday! The perfect party favor you can customize with your wording!